We caught up with SAI Florence Assistant Program Coordinator Marisa, who is contributing to our blog this month. Marisa is providing her point of view on Ultimate Frisbee, a sport she loves playing in her spare time. One of the most difficult aspects of my transition to life in Italian was my inability to access community sports teams. It would have been a very different experience had I been looking for a soccer team, but in the US I played softball, volleyball and ran track. Unfortunately, I was not looking for any of those teams either. I was looking for an Ultimate Frisbee team. 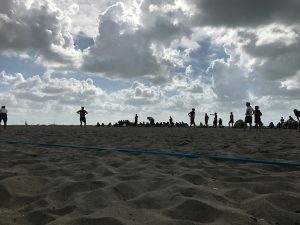 Ultimate Frisbee, while gaining a more significant presence in the international sports community, is still relatively uncommon. The World Flying Disc Federation (WFDF, est. 1985) is responsible for sanctioning world championship events, establishing rules and setting other standards of organization and record keeping. 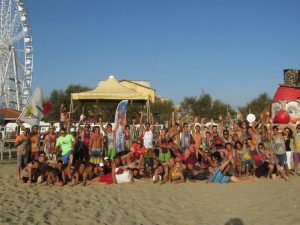 In collaboration with other federations such as USA Ultimate (composed of the American Ultimate Disc League and the Major League Ultimate as well as other divisions), and the European Ultimate Federation, the WFDF continues to support changes in this fast-growing athletic community and to link the organizations in each continent together. After some investigating, I finally found a Frisbee team in Florence composed of individuals coming from all over the area. While there were some differences, language being one of the more difficult challenges, I found that the type of person, spirit of the game and overall feel of the sport were still similar. Soon I was traveling all over the region meeting new people from all over the country and my community of friends abroad exploded. While traveling in Italy I have met and played with people from Germany, Switzerland, France, the UK and other European countries. Everyone has their own unique experience abroad and certain differences might stand out to some more than others. 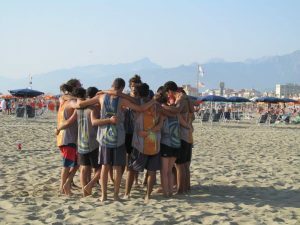 Not only has playing ultimate given me the opportunity to continue to play sports and meet new people but it has also allowed me to continue to explore the differences among cultures in and outside of Italy. To see players communicate about disagreements on the field, show sportsmanship after games, enjoy one another’s company after a tournament day and then compare that experience to my experiences in the US has been a continuously rewarding adventure. Once you settle into your city abroad, find your own unique way to connect with your community. The best experience might take a lot of effort to create, even once you have found your niche, but when you make an effort to connect in a real way that shows your best self, people start to notice. I play ultimate and am going to be travelling through Florence soon. Where would I find contact details for Marisa/the ultimate team to arrange meet up and practice? I’ll be in Florence for two months and am also looking for people to play frisbee with!! 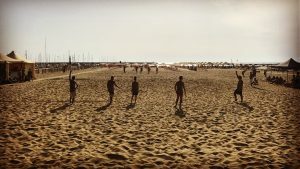 I’ll be moving to Florence in the Fall for at least a year and would love to connect with the Ultimate Frisbee community there. Do you have any contacts or further information you can provide on the subject as per Marisa’s article? Hello! You can email Marisa at marisa@saiprograms.com!